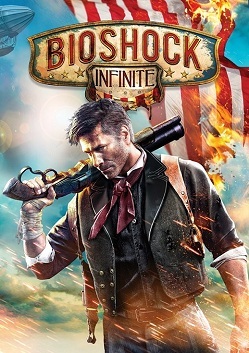 Let’s start by acknowledging that the latest entry in the series, BioShock Infinite, is a pretty game. Really pretty. Staggeringly pretty. The use of colour and depth, the tiny details and the sweeping vistas, it’s one of the best looking games to come along in a long while. So why, with such great graphics, and what by all accounts is a story and an ending worthy of discussion and dissection, did I stop playing after only an hour, well before reaching the game’s main hook? Two reasons.